It's Been Five Years, Today. I think this post is for me. You just get to read it. Five years ago, I packed my bags and headed west with a boy I barely liked. I said goodbye to my family calmly and quickly, and silently shed tears in the car as I left my beloved Detroit, and more importantly my family, for different grounds and a new opportunity. I can't tell you the actual deciding factor, the one that got me into the car and made me drive the 2300 mile drive. But I always knew I was going to do it. In fact, I had made the decision based on no actual facts, just a feeling, when I was 9 years old. It'd take me 16 years to finalize my plan. 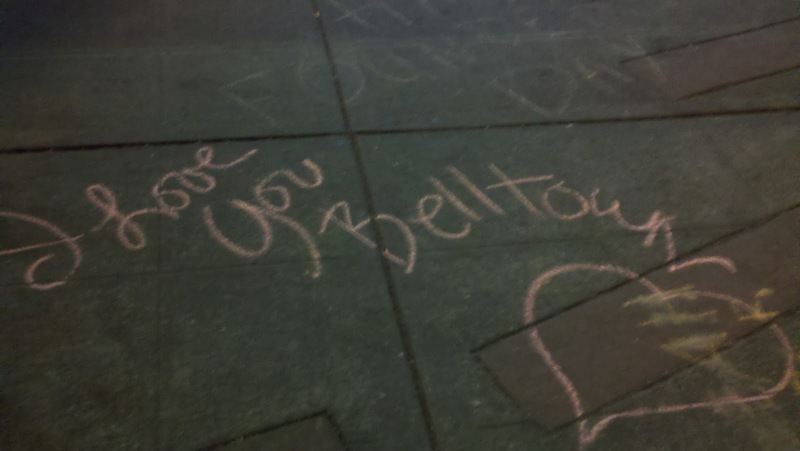 It was September 6, 2007 when I arrived in Belltown. I received the keys to my apartment (rented sight unseen) and had only what was in my vehicle. I spent the first few nights on my floor, sans internet or furniture. It was just me and the Arrested Development Season 1 and 2 DVDs (Arrested Development is still my favorite show to this day). I didn't know a soul (though, in a few months, through Facebook, I'd find out I actually did know a few people out here). I am not sure why or how I picked Belltown. I think when I came here to visit, it just felt like home. The streets were filled with people, apartments were stacked on top of restaurants and I loved the mix of wealthy condo dwellers, artists, even the street characters. Belltown felt alive, I felt its spirit. I am so lucky to live here. For the last five years, I've been able to interact daily with the most interesting people. Passionate restaurant and bar owners, musicians, artists, poets, even those that live on the street and seem neglected by society. Each person has a path, a story, a lesson to teach. These people care about our neighborhood, our community, our neighbors. We exchange ideas, help one another out and want the best. Because of the diversity, I've heard unimaginable stories, learned life lessons and I've become a better person for it. Moving 2300 miles away hasn't always been easy. At first it was some type of escape, but as I've grown up I've realized the importance of my family and the importance of where I've come from. As the years pass I realize it's difficult to be away from them. My parents are getting older and I am only reminded of that more and more ever time I return to visit. And, I often feel as if my sister might need me closer to her - as I need her closer to me. If nothing more than to just sometimes hold her hand, and remind her how much I love her, as she carries on through her own journey. See, we've been through so much as a family since I've left. Actually, to be honest I felt like I left almost everything in check and the things that are not in check partially unraveled since I've been gone. Of course, this is due to timing and life, but not being able to always be a part of it is harder than one could imagine. We've had death upon death. We've had illness upon illness. And while it's normal, everyday issues that many deal with - these are now our family's issues. And helping your family when you're 2300 miles, and three time zones away, is more than difficult. While moving away was difficult (well, is difficult), there are great perks of being on your own. But moving away, from everything you know, from everything you are - it changes you. I've built a life here. I am myself here. I've reinvented myself. I've been through boyfriends, heartbreaks, friends, best friends, jobs, clients... they've all added to who I am, built my character. Detroit will always remain in my heart, it's part of who I am (and if you know me on a day-to-day basis, you know how much I LOVE Detroit) and I am so thankful to have grown up in a city of heart, of pride and having that pride and ownership instilled in my heart. I honestly believe my work ethic and my attitude to was shaped by my parent's, and my city's, need to always work hard and play hard. There's a popular slogan back home - "Detroit Hustles Harder." It's true. It really is true. Have you ever met friends that are so close, so important, they are part of your soul? If you have just one person in your life, that you can share your desires and failures with - then that is a gem. But what about more than one? What about a group? I am lucky, and I realized every single day that I am lucky because I am rich with a wealth of friendship and love that I could have never imagined. I have friends here - who are a family. I mean that - they are my family. These people are the people I come to when I'm happy, sad, bored, angry, sick, ecstatic, proud. They support me, love me, and allow me to grow as a person. They take care of me, I take care of them. And I love and support them unconditionally. When my mom came to visit - she said it's like I lived in a play. Every character had their role, their home, their lines. I never thought of my life that way. It was just Belltown. It was what I knew. But sometimes, it can feel surreal, and I often stop, look around and think, "Wow, I really get to live here." And in those moments where I don't know who I am, or what the hell I am doing here... I just step outside and cannot walk half a block without running into a familiar face, and I am instantly reminded why I am here. 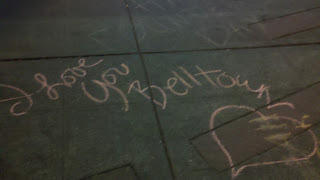 Belltown, I think Detroit made some room for you, and now you'll forever hold a place in my heart, too.